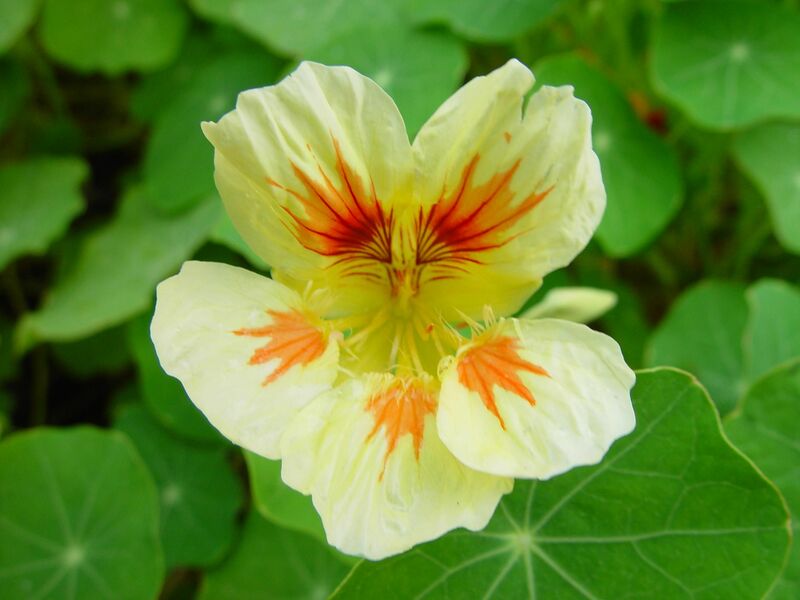 This media item is originally from http://commons.wikimedia.org/wiki/File:Albinoish_nasturtium.jpg, last uploaded by Fæ; it was copied to a local repository as a caching mechanism to speed up page rendering and to prevent links to break when media items are renamed on commons. For a full list of earlier authors and contributors please refer to the file version history and the metadata version history in the repository from which this media item has been copied. Cette œuvre a été placée dans le domaine public par son auteur, Public Domain Images. Ceci s'applique dans le monde entier. Public Domain Images accorde à toute personne le droit d'utiliser cette œuvre dans n'importe quel but, sans aucune condition, sauf celles requises par la loi.